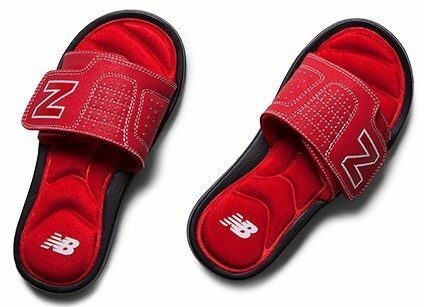 New Balance Classic Slides for Kids Only $18.99! You are here: Home / Great Deals / New Balance Classic Slides for Kids Only $18.99! Wherever your kids’ summer adventures lead, the New Balance Classic Slide for only $18.99 will take them in fun fashion. The plush foam footbed and lightweight sole make it a perfect choice for long busy days while the adjustable strap makes it a perfect fit. These are on final sale so they are not going to last!